Yes, you read right - a whole application! It's not a fake, it's the well known Contacts screen from our Showcase application. We didn't change the source code to run the screen as Portlet! As you can see, we didn't use menus or toolbars, only one screen. A Portlet should be simple because Liferay offers menus and site navigation. Use your existing application, bundle it together with JVx.vaadin and configure the Portlet Launcher in your deployment descriptor. You need some additional configuration files for liferay, but there's no difference between your current Portlets and a Portlet for a JVx application. Everything you need is Open Source and released under Apache License 2.0, but we don't have detailed documentation at the moment. Support us with your contribution! If you develop a lot of different Portlets for your customers and won't waste time for XML file creation, simply use VisionX. It has a WYSIWYG UI editor and creates your database model on-the-fly. It is your pain killer! It offers Liferay Portlet creation with 4 mouse clicks. 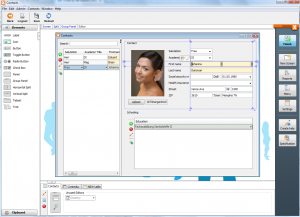 Don't create everything manually and save time - Use VisionX! 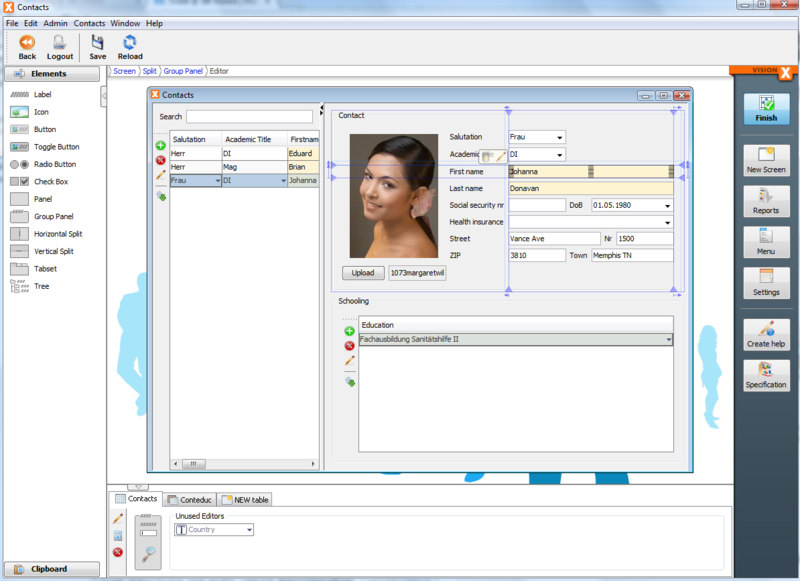 We've used VisionX to demonstrate the creation of above contacts screen. We spent 5 minutes to create a complete application, with database model, user management and Liferay Portlet deployment. We were amazingly fast!